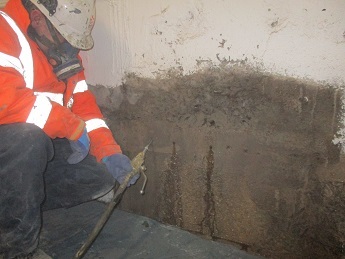 Resin Injection work has been carried out in the centre of Newcastle. Footage shows emergency leak sealing to a basement structure . 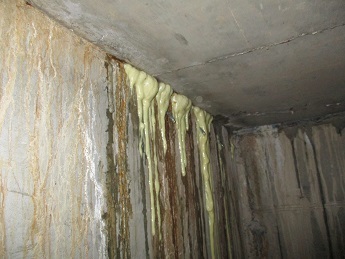 To secure the water tightness and durability of the building, the leaking cracks needed to be closed and sealed. 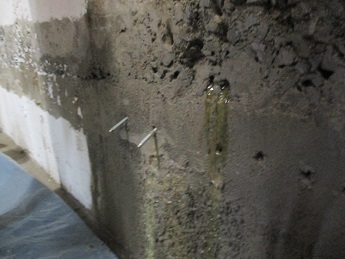 A Polyurethane Resin was used to stop the water ingress. This will form a permanent seal and mechanical bond by structurally bonding to the substrates. There are numerous injection products on the market and the correct selection is crucial to the effectiveness of the repair. Some resins for example must have a dry substrate to enable it to bond. Following the identification of areas of direct ingress, injection points of 100mm in depth were drilled into the basement walls. These were at 45 degree angles to the leak source. Injection packers were installed and leak sealing resin injected. This was repeated until the ingress had stopped. To complete the repair, overbanding strips were installed. These highly elastic pre- formed membranes are used for waterproofing over joints or cracks, where a high degree of movement can be expected. In addition to basements, CSC Services has many years experience of leak sealing a range of structures including service reservoirs, tunnels and culverts. 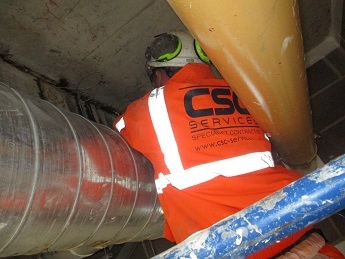 Call CSC Services today for more information on 0191 410 3444.